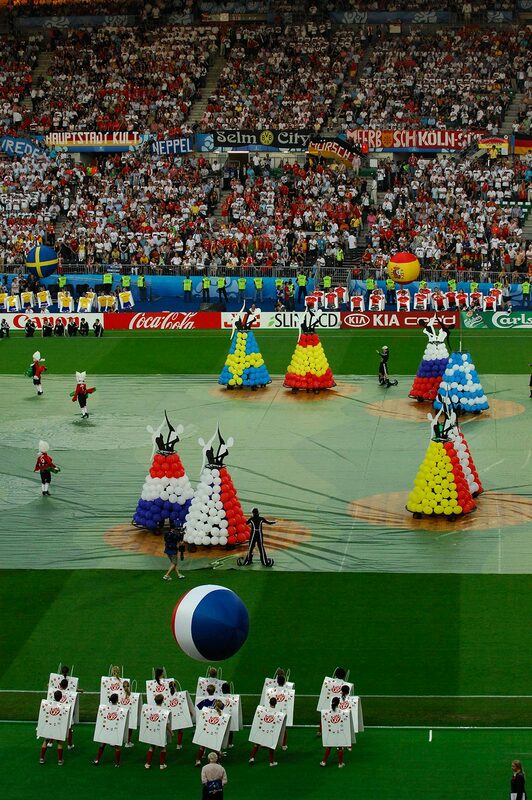 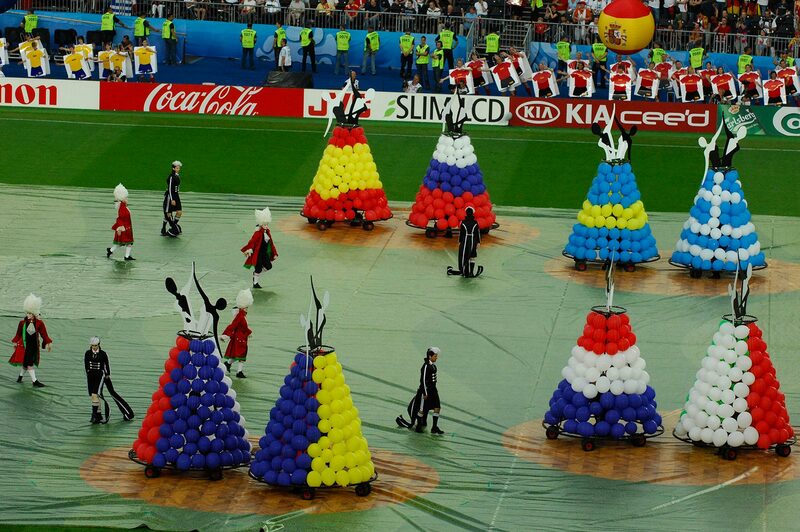 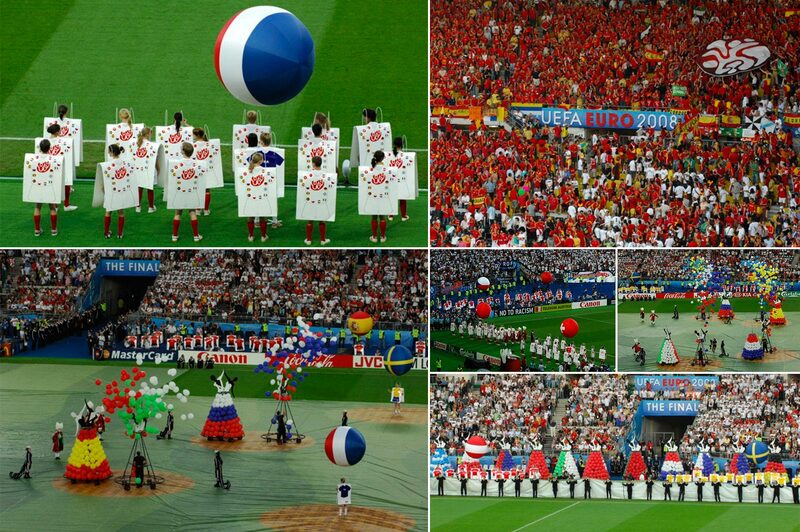 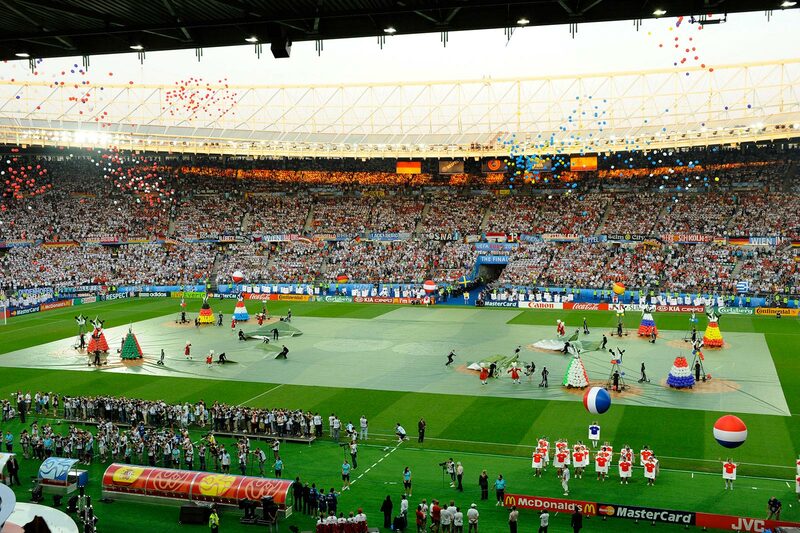 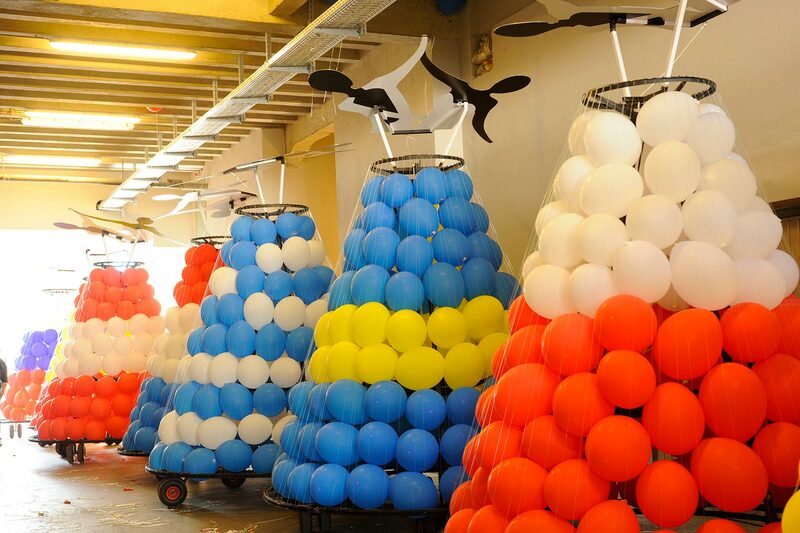 In May 2007 Martin Arnaud and the agency Auditoire won the international competition launched by UEFA to design, produce and stage the EURO 2008 opening and closing ceremonies. 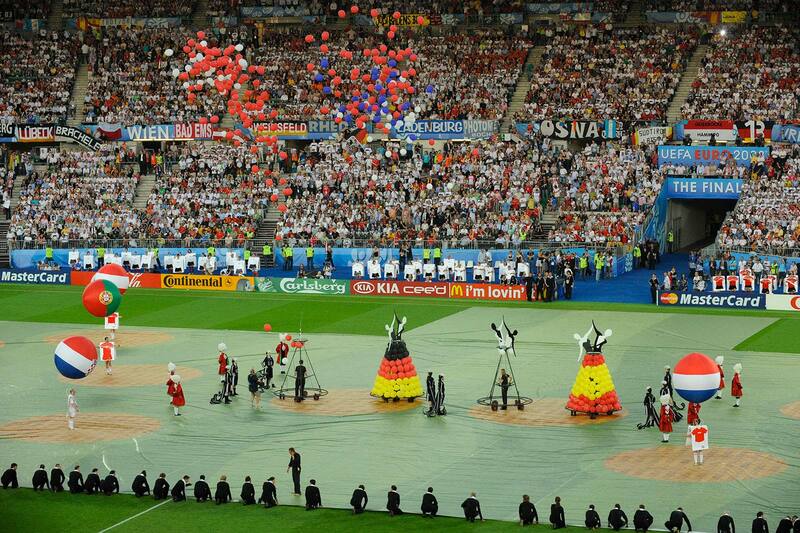 Tribute is paid to the 16 competing nations, represented by Waltzing Puppets on the field. 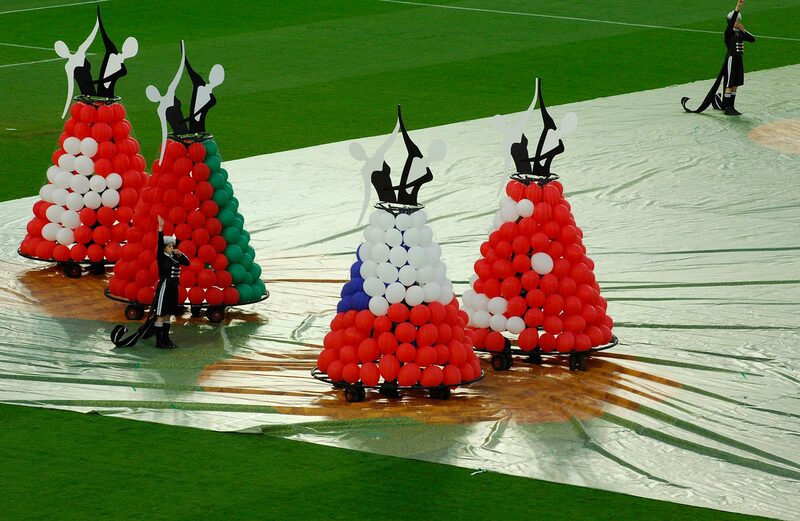 A three-part waltz of warriors, where the steps reinterpret the competition process on a field in the grips of the wild beat. 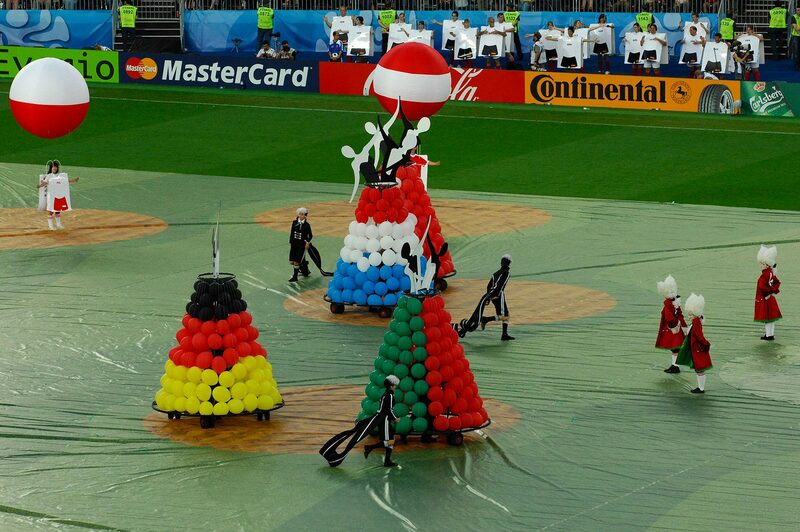 The lackeys – acting as masters of ceremony – uncover the ground step by step, enabling the winners to get to the final. 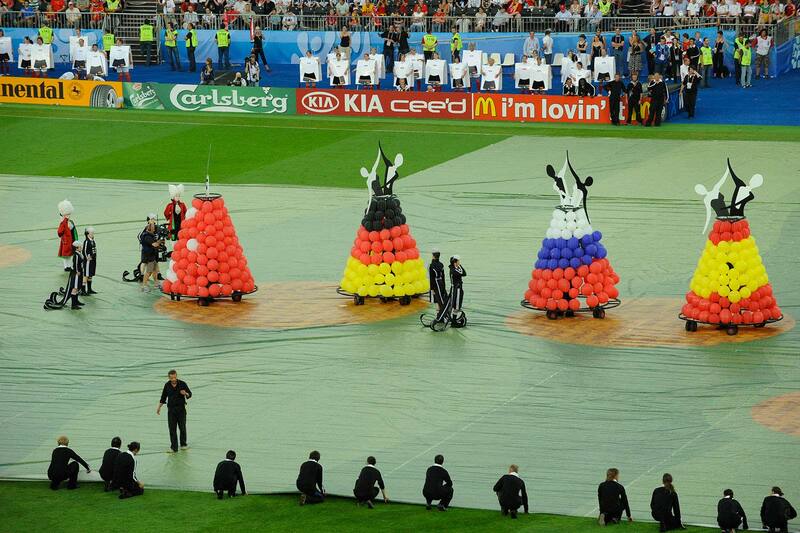 All around the field are 300 “supporters” encouraging the spectators to support their teams.